Have you ever wondered why your prayers aren’t answered? There are many possible reasons, including those that have nothing to do with how we pray. But the account of the woman whose daughter was demon-possessed in Matthew 15 redefines what it means to pray powerfully. “Tell him no,” his wife called. “Sorry,” said the husband and started to close the door. “Tell him we’re as poor as he is. No sandwich!” answered his wife. Again the husband apologized and tried to close the door. “Please, just a slice of bread?” asked the man at the door. 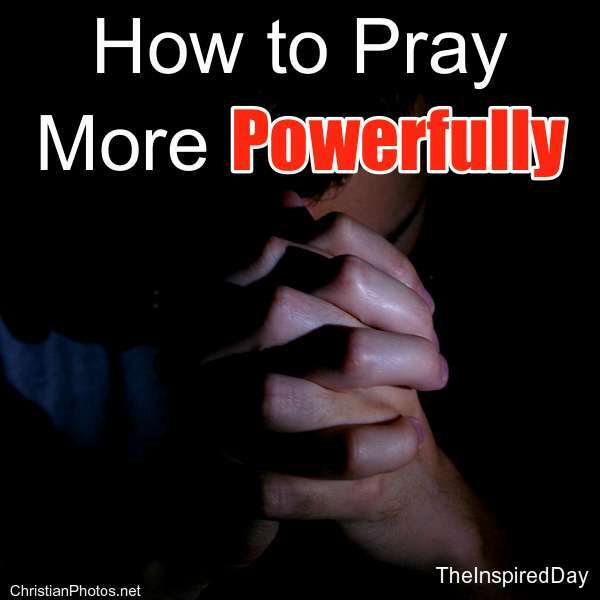 Want to learn to pray more powerfully? Join Circles of Faith for 40 Days of Prayer using Mark Batterson’s Draw the Circle beginning Wednesday, February 13th. Did you enjoy this post? Subscribe to The Inspired Day and get daily encouragement in your inbox.